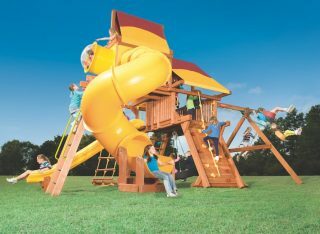 They’ll rule the jungle – a.k.a. 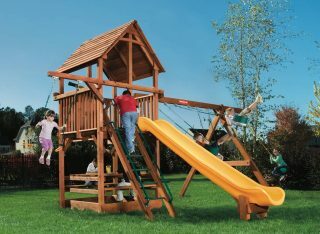 the backyard! 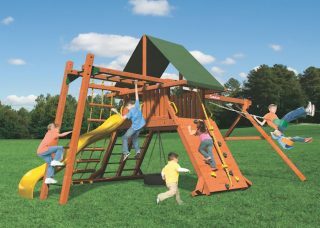 Our five-foot angled base playset is full of fun features and far-out adventures. 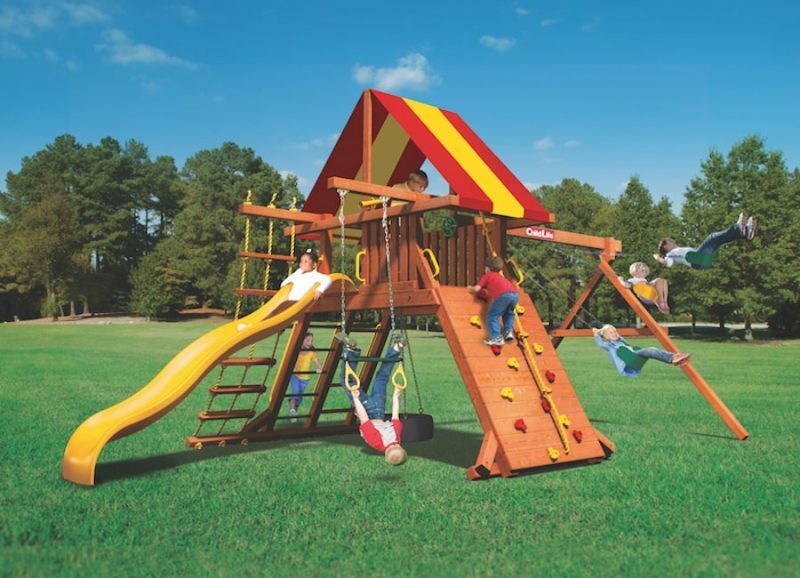 Customize with monkey bars or a wood roof. 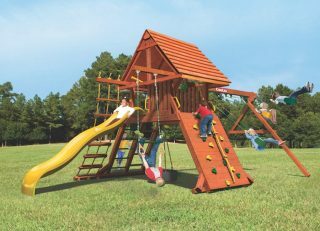 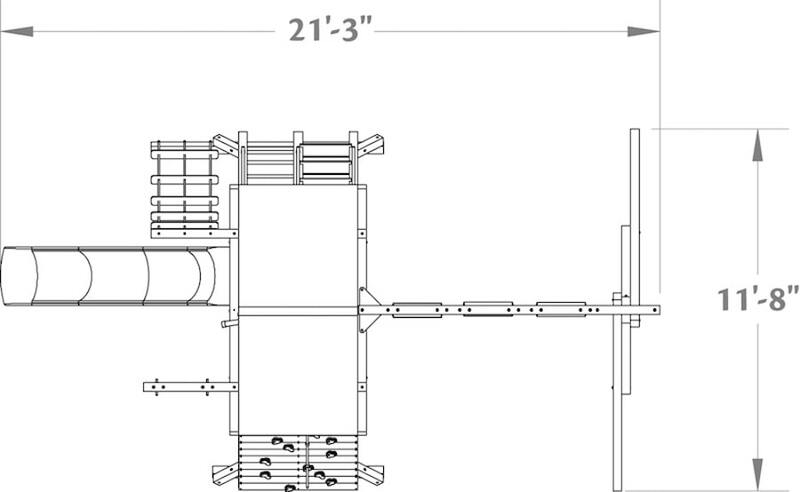 The Woodplay Playsets Lion’s Den (LD.A) includes a 15-Year (Lumber Only) and a 5-Year limited warranty.